It’s been nearly eight months since our very own Rennlist members outed Shiraaz Sookralli, former salesman at Champion Porsche, for a massive scam that involved taking customer deposits for cars that didn’t even exist. Now, after disappearing with nearly $2.5 million dollars in customer’s cash, Sookralli has finally been caught, according to Automotive News. Southern District of Florida U.S. Attorney Ariana Fajardo Orshan announced the arrest April 2. Orshan, joined by Broward County Sheriff Gregory Tony and other federal agencies, stopped short of revealing how or where they caught Sookralli. Regardless, the Porsche con man is now facing a litany of charges that include mail and wire fraud, conspiracy to commit both, and money laundering. Sookralli made his first appearance before the judge on April 2 and is scheduled to appear for his pretrial detention hearing on April 5. The news is undoubtedly a sigh of relief for the 30 plus people who fell victim to his elaborate scam. 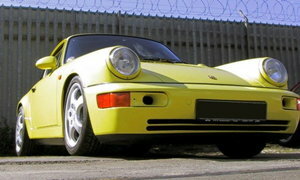 Sookralli used his position as a trusted “vice president of marketing” at the nation’s highest-volume Porsche dealership to take advantage of customers. He’s accused of taking bogus sales orders for a series of limited edition Porsche models over a period several years. He then formed a shell corporation called Champion Autosports and deposited the allocation funds into a corresponding account. Problem is, neither that bank account nor shell corporation had anything to do with Champion Porsche. And the deposits he received from customers weren’t tied to actual allocations. Instead, Sookralli used the cash to purchase a variety of goods for himself, including high-end jewelry, cars, restaurants, and night clubs. Sookralli also transferred large portions of the cash to several of his own personal accounts. At this point, there are many unanswered questions in this case. Sookralli’s shell corporation has existed since 2010, so how far back does this trail of fraud truly go? Sookralli also faced a fraud lawsuit back in 2016, of which Champion Porsche was already aware. Despite this, the dealership claims to have known nothing about the savvy salesman’s criminal activities. And they’ve seemingly worked to help rectify the situation with affected customers since. The truth, as it usually does, will eventually come out. Now that Sookralli is in the hands of authorities, we, along with his many victims, hope to finally hear the whole story.